The average Human Resources (HR) team is sitting on a data gold mine, which is the theme of my new book ‘Data-Driven HR’. There’s recruitment data, career progression data, training data, absenteeism figures, productivity data, personal development reviews, competency profiles and staff satisfaction data, just for starters. Plus, in addition to traditional HR data sets, companies can now collect so much more data – scanning social media data, for instance, or analysing the content of emails to gauge employee sentiment. Using HR data can be legally and ethically challenging, but incredibly valuable – probably the greatest asset the HR team has. Why? Because when HR data is used to improve decisions, make employees happier, and optimise processes, it adds value to the company. In the past, a lot of HR data went unused or, if it was used, it was put into charts and tables for something like a corporate performance pack. Now, in the era of big data and analytics, companies are turning their data into insights, such as predicting when employees will leave, where to recruit the most suitable candidates from, how to identify and attract those suitable candidates, and how to keep them happy once they become employees. All this means that HR data is more valuable than ever before. So it’s no wonder that a report by the Economist Intelligence Unit found that 82% of organisations planned to either begin or increase their use of big data in HR before the end of 2018. This has given rise to ‘intelligent HR’ as a bit of a buzz phrase. Despite having access to a wealth of data, in my experience, too many HR teams spend the majority of their time on admin tasks or legal issues. Clunky staff appraisals, the day-to-day minutia of recruitment and people management, and wasteful, expensive activities like annual staff satisfaction surveys take up time that could be better spent elsewhere. Plus, there’s the issue that HR is traditionally seen as very people-orientated, and not so much about numbers and data. Even when data does play a role, it’s not necessarily being used in a smart way that’s most relevant to the business in question. A lot of HR data analysis comes in the form of standard KPIs measuring factors like absenteeism. After all, metrics like this are easy to measure, and they’re measured by most companies as a matter of course (the old case of, ‘if they’re doing it, so should we’). But, these days, there are far more unique and valuable HR metrics that can be measured – metrics that can deliver business-critical insights and have a significant impact on the organisation’s performance. This is where the idea of data-driven HR comes from. HR teams can use data to make better HR decisions, better understand and evaluate the business impact of people, improve the leadership’s decision making in people-related matters, make HR processes and operations more efficient and effective, and improve the overall wellbeing and effectiveness of the company’s employees. All of this can have a huge impact on a company’s ability to achieve its strategic aims, and that’s what makes HR data so valuable. This idea of the data-driven HR team is certainly gathering pace, and HR and people management is undergoing a data-fuelled revolution. This part of business that has traditionally focused on softer elements like people, culture, learning and development, and employee engagement is becoming increasingly driven by hard numbers and data analysis. Truly intelligent or data-driven HR focuses HR data and analytics on the goal of adding value and driving performance across the organisation – all the time, not just every now and then or on specific projects. With intelligent, data-driven people management, the top priority is to add value to the organisation in the smartest way possible, using all the tools at the HR team’s disposal: data, sensors, analytics, machine learning, artificial intelligence, and more. Take Google’s approach to people management, as a quick example. Google gives staff free meals, generous paid holiday allowances, access to ‘nap pods’ for snoozing during the day, and space to grow their own fruit and vegetables at work. Why? It’s not because Google’s leadership team feel all warm and fuzzy about their staff (or, at least, that’s not the only reason). These policies and decisions were based on what the data told Google would increase employee satisfaction. And the value to the company? While staff turnover is consistently high in the tech world, Google has been voted the top company to work for in eight out of the last 11 years. I’m certainly not saying that HR should only be about data. People will continue to be a central driver of success, even in this age of increasing automation, robotics and artificial intelligence. What I am saying is the role of the HR team is changing and, as our ability to gather and analyse ever-increasing amounts of data grows, so too do the opportunities for HR teams to add more value to the organisation. 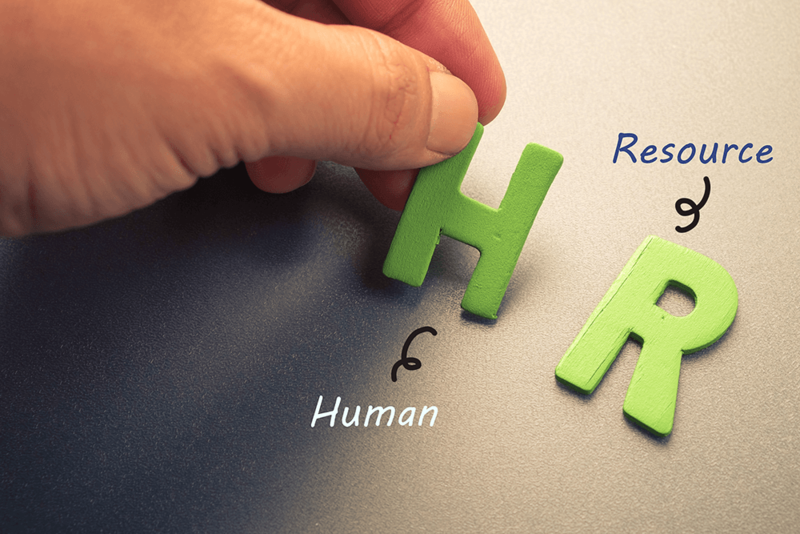 This is what makes HR data such an important asset. Read more about how data and analytics are transforming HR in Data-Driven HR. It’s packed with real-life examples and practical ways HR teams can deliver maximum value in our increasingly data-driven world.